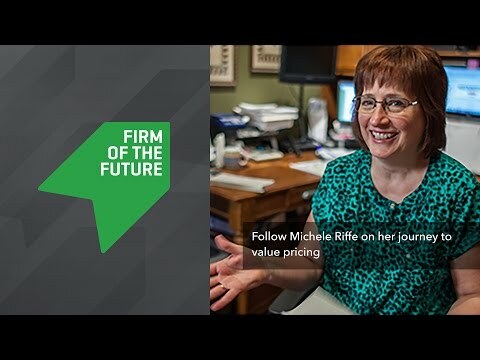 Meet Michele, a veteran pro with a stable client base who wants to shift her focus to fewer, higher-value clients. She’d like to more confidently convey why her advanced services that help clients grow are well worth the price. To view her additional videos, please see follow these links to Month 2: Hourly price, Month 3: The right model and Month 4: Moving your firm in the right direction.